The piano is an acoustic, stringed musical instrument invented in Italy by Bartolomeo Cristofori around the year 1700, in which the strings are struck by hammers. It is played using a keyboard, which is a row of keys (small levers) that the performer presses down or strikes with the fingers and thumbs of both hands to cause the hammers to strike the strings. The word piano is a shortened form of pianoforte, the Italian term for the early 1700s versions of the instrument, which in turn derives from gravicembalo col piano e forte and fortepiano. The piano may be the best known and loved of all musical instruments. It also has the broadest range of any instrument, so music for all other instruments can be composed on it. It can be played solo, but most other instruments, including the voice, use the piano for accompaniment. 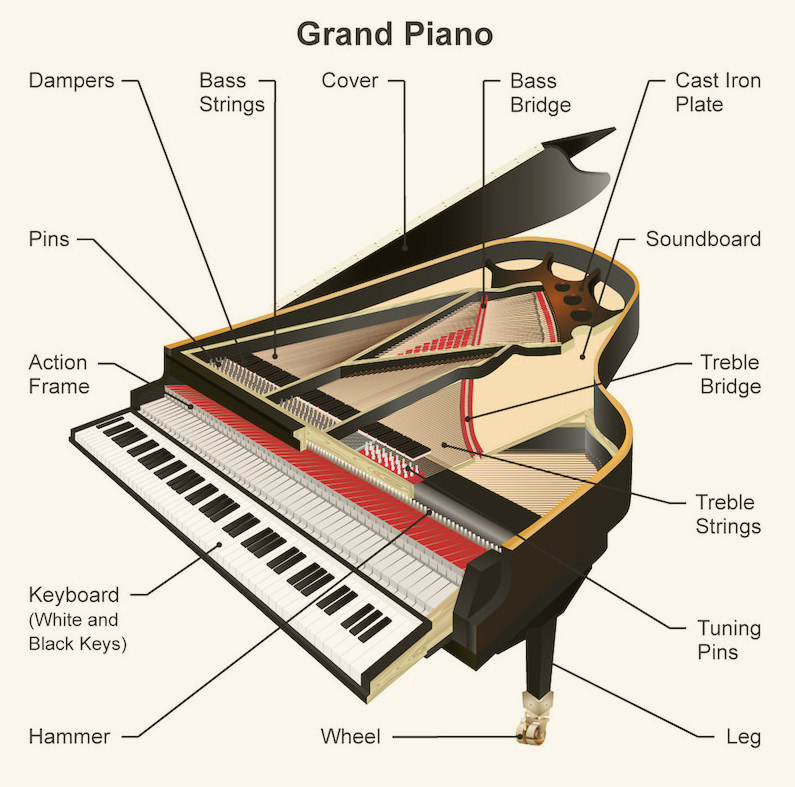 Technically, the piano may also be the most complicated musical instrument with over 2,500 parts. Piano is often said to be an excellent first instrument, providing a solid foundation for a child’s musical education. 3) improves coordination as Piano is one of the few instruments that allows the left and right hands to play equally. Children whose first instrument is piano will have a leg up on other students when they go on to learn other instruments. 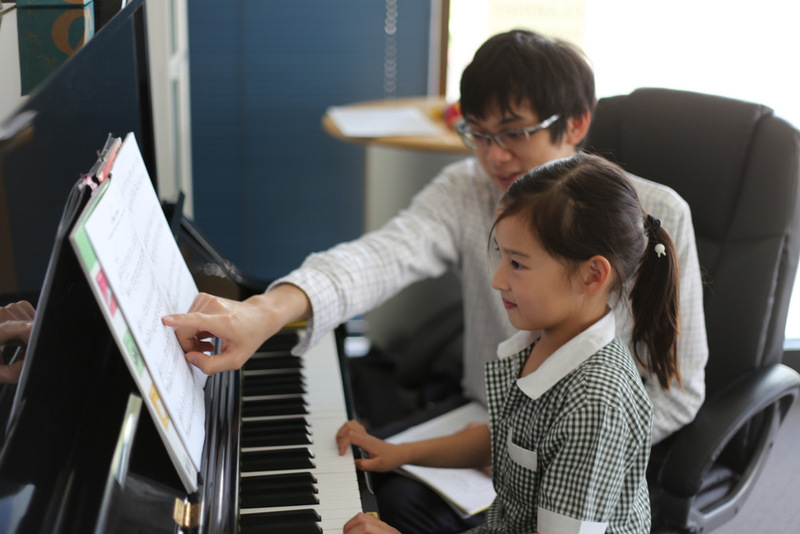 Find out more about our Piano teachers here!